BRIDGEPORT — Members of Salem Lutheran Church planted 54 tomato plants in a garden on the church grounds at 3160 Park Ave. last Wednesday and the abundant fruit they anticipate in a few months will be shared with local food pantries to nourish those in need. The planting was not only part of the church’s ongoing community outreach, it also serves as a metaphor for the congregation and its new pastor. Marjo Anderson, of New Haven, was installed May 15 and is the church’s first female pastor. Anderson arrived at Salem Lutheran Church last February, after having served as co-pastor at Tabor Lutheran Church in Branford for 18 years, and to hear members of her new congregation tell it, she is the fertile soil that is nourishing the church. In a few short months the congregation has embraced Anderson, and church members say she has already brought to the church an abundance of energy, love and new opportunities. “She’s a real mother to this congregation,” said Bert Andren, a lifetime member of Salem Lutheran Church and a member of its council. “She’s brought in a whole new enlightenment and love into the total congregation. There’s just a way about her. There’s a different tone to all of our services … She’s what we needed at this time in our spiritual life,” Andren said. Anderson said she was happy at Tabor, but was not full time, and Salem’s diversity and developing passion for mission appealed to her. “We moved to New Haven because we wanted the diversity,” said Anderson, who is married to Mark Dollhopf, executive director of the Alumni Association at Yale University. They have two college-age sons, Hans and Connor. From the time she was 3 Anderson said she knew her calling. “My dad was a pastor. My earliest memory was of standing around after church and somebody asking, `What do you want to be when you grow up,’ and I said, `A minister, just like my dad,’ and everybody laughed. I had no idea why they were laughing. Finally somebody said, `Well you can’t be. You’re a girl,'” she said. Anderson said she was embarrassed because she never noticed all the ministers were men; puzzled because she didn’t know why gender should matter; and sad because it meant she had to find something else to be. “I became a musician and that kept me attached to the church,” said Anderson, who was a piano major at Wittenberg University. She is also a graduate of Yale University’s Divinity School. “The other thing that attracted me here to Salem was it has the most amazing music program. I have a full-time associate here, Liz Frohrip, and she and I were actually classmates at the Institute of Sacred Music at Yale. She has a tremendous music program here,” Anderson said. Music played a big part in her installation, at which her family performed together. Music is likely to play a bigger part in the church’s ministry as an outreach tool, Andren said. She understands what music can do, said Frohrip, adding that Anderson brings to the church a respectful attitude toward others’ gifts. She also sees their potential. “A fresh pair of eyes can sometimes see the obvious … She’s a new chapter in this church’s life and it’s one the church is ready for,” Frohrip said. In its previous chapter, Anderson said former pastor Robert Hoffman awakened people’s interest in Bible study. As a result, she said, “They’ve become a lot deeper spiritually, I think their faith is a lot stronger because of what they’ve been learning and that is being translated into action. They’re reaching out. There is so much potential here,” Anderson said. She will concentrate more of her energy on programs and outreach, rather than deliberately attempting to increase membership. “As long as we do what God calls us to do and operate out of faith instead of fear, the congregation is going to grow,” Anderson said. “It’s a small congregation. It has dwindled down but the people who are left are full of energy and passion and commitment,” for their own church and the larger community. 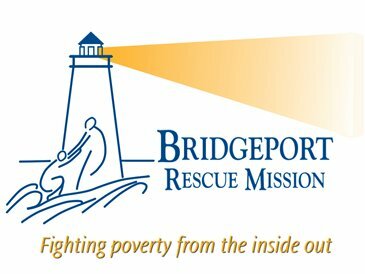 Many congregants are involved with the Council of Churches of Greater Bridgeport, with which Anderson has already developed a relationship. “We are already working together,” said the Rev. Brian Bodt, president and CEO of the Council of Churches. “Marjo is clearly committed to urban ministry. She’s clearly connected to ecumenical ministry. I haven’t yet seen her in an interfaith realm but it wouldn’t surprise me if she was also a strong supporter of that as well,” Bodt said. Anderson is not entirely new to Bridgeport. She was at St. Paul’s in the 1980s. That church no longer exists, nor do St. Mark’s, First English and Holy Trinity. “We’re in the unique position of being the only Lutheran Church left in Bridgeport,” Andren said.